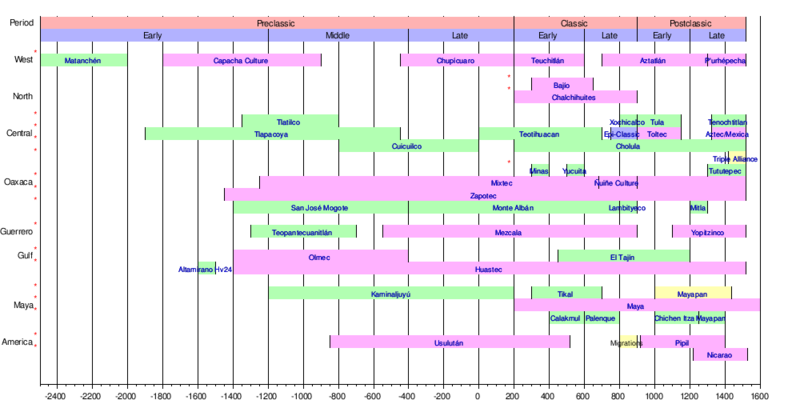 Mesoamerican chronology divides the history of prehispanic Mesoamerica into several periods: the Paleo-Indian (first human habitation–3500 BCE), the Archaic (before 2600 BCE), the Preclassic or Formative (2500 BCE–250 CE), the Classic (250–900CE), and the Postclassic (900–1521 CE), Colonial (1521–1821), and Postcolonial (1821–present). 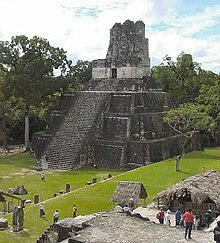 The periodization of Mesoamerica is based on archaeological, ethnohistorical, and modern cultural anthropology research. 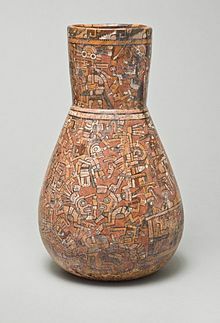 The endeavor to create cultural histories of Mesoamerica dates to the early twentieth century, with ongoing work by archeologists, ethnohistorians, historians, and cultural anthropologists. 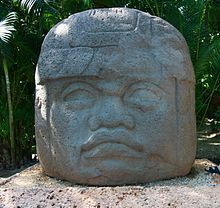 The Olmec civilization developed and flourished at such sites as La Venta and San Lorenzo Tenochtitlán, eventually succeeded by the Epi-Olmec culture between 300–250 BCE. 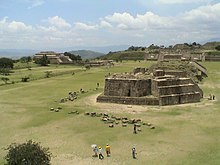 The Zapotec civilization arose in the Valley of Oaxaca, the Teotihuacan civilization arose in the Valley of Mexico, and the Maya civilization began to develop in the Mirador Basin (in modern-day Guatemala) and the Epi-Olmec culture in the Isthmus of Tehuantepec (in modern-day Chiapas), later expanding into Guatemala and the Yucatán Peninsula. 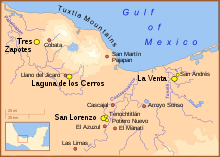 Several of the most prominent Formative Period sites in the central Mexican plateau and Gulf Coast regions. 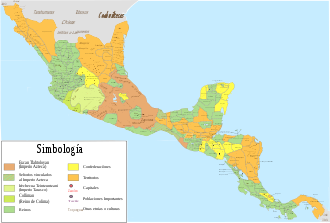 Mesoamerica and Central America in the 16th century before the arrival of the Spanish. 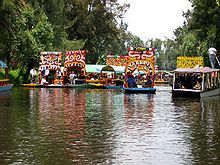 Of all prehispanic Mesoamerican cultures, the best-known is the Mexica of the city-state of Tenochtitlan, also known as the Aztecs. The Aztec Empire dominated central Mexico for close to a century before the Spanish conquest of the Aztec empire (1519-1521). ^ * Mendoza, Ruben G. (2001). 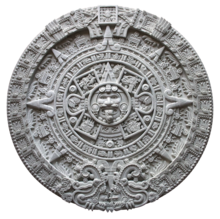 "Mesoamerican Chronology: Periodization". The Oxford Encyclopedia of Mesoamerican Culture. 2: 222–226. ^ MacNeish, Richard S. (2001). "Mesoamerican Chronology: Early Development and the Archaic Period (before 2600 BCE)". The Oxford Encyclopedia of Mesoamerican Culture. 2: 226–236. ISBN 0-19-510815-9. ^ Grove, David G. (2001). "Mesoamerican Chronology: Formative (Preclassic) Period (2000 BCE-250 CE)". The Oxford Encyclopedia of Mesoamerican Culture. 2: 236–243. ISBN 0-19-510815-9. ^ Foster, Lynn V. (2005). Handbook to Life in the Ancient Maya World (New ed.). Oxford University Press. ISBN 978-0195183634. ^ Coe, Michael D. (1999). Breaking the Maya Code (revised ed.). Thames and Hudson, New York. ISBN 978-0-500-28133-8. ^ Guernsey, Julia (2006). 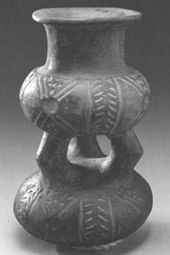 Ritual and Power in Stone: The Performance of Rulership in Mesoamerican Izapan Style Art. University of Texas Press, Austin, TX. ISBN 978-0-292-71323-9. ^ Pool, Christopher (2007). 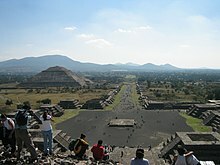 Olmec Archaeology and Early Mesoamerica. Cambridge University Press. ISBN 978-0-521-78882-3. ^ McCafferty, Geoffrey G.; David Carrasco (2001). "Mesoamerican Chronology: Classic Period (250-900)". The Oxford Encyclopedia of Mesoamerican Culture. 2: 243–248. ISBN 0-19-510815-9. ^ Smith, Michael E. (2001). "Mesoamerican Chronology: Postclassic Period (900-1521)". The Oxford Encyclopedia of Mesoamerican Culture. 2: 248–257. ISBN 0-19-510815-9. ^ Taylor, William B. (2001). "Mesoamerican Chronology: Colonial Period (1521-1821)". The Oxford Encyclopedia of Mesoamerican Culture. 2: 257–264. ISBN 0-19-510815-9. ^ Diehl, Richard A. (2004). 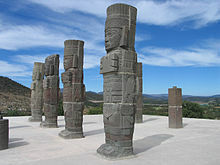 The Olmecs : America's First Civilization. London: Thames and Hudson. pp. 9–25. ISBN 0-500-28503-9. ^ Miner, Dylan (2014). Creating Aztlán: Chicano Art, Indigenous Sovereignty, and Lowriding Across Turtle Island. University of Arizona Press. p. 223. ISBN 978-0816530038. Retrieved 3 February 2018. ^ Taylor, William B. (2001). "Mesoamerican Chronology: Colonial Period (1521-1821)". The Oxford Encyclopedia of Mesoamerican Culture. 2: 257–264. ^ MacLeod, Murdo J. (2000). 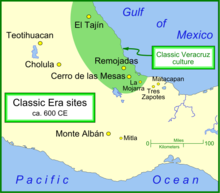 "Mesoamerica since the Spanish Invasion: An Overview". The Cambridge History of the Native Peoples of the Americas. 2: 1–43. ^ Altman, Ida; et al. (2003). 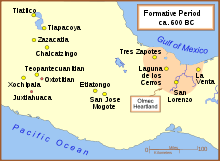 The Early History of Greater Mexico. Prentice Hall. pp. 143–161.